World’s most polluted cities – 13 out of top 20 cities are in India. Few months back I wrote on Delhi has become numero 1 as world’s most polluted city. However according to the lastest data by WHO not only Delhi tops the list but 12 other cities from India are on the top 20 most polluted cities in the world. Even for me that is really surprising. China is not even on the top 20 list which makes me little suspicious. The report ranked almost 1600 cities in 91 countries for the quality of their air, which is measured for concentrations of PM10 and PM2.5, i.e. particles smaller than 10 or 2.5 microns. These harmful pollutants cling to the lungs and can cause disease. In Delhi, the annual average is 153 ug/m3 (micrograms per cubic metre of air), which is six times the WHO’s recommended maximum. At various times of the year, this number spikes to much higher levels. There are concerns of young kids having an early lung disease. The WHO found that India has the world’s highest rate of death from respiratory disease, with 159 per 100,000 in 2012, about 10 times that of Italy, five times that of the UK and twice that of China. One study found that half of Delhi’s 4.4 million schoolchildren would never recover full lung capacity. This does not surprise me. When I was a kid, not only I but even few of friends had respiratory problems. Recently I met a friend of mine in Paris who currently lives in India and he told me “Sometimes I wonder why I am in Delhi” admiring not only the beautiful city called Paris but also because of really bad air in Delhi. Paris may not be the most clean in terms of air but it does not stand a chance if we compare bad air with Delhi. Many expatriate workers have already left the city, with some major international companies now preferring to base executives in Dubai or Bangkok. Classes at international schools in the city have been cut as numbers dwindle. 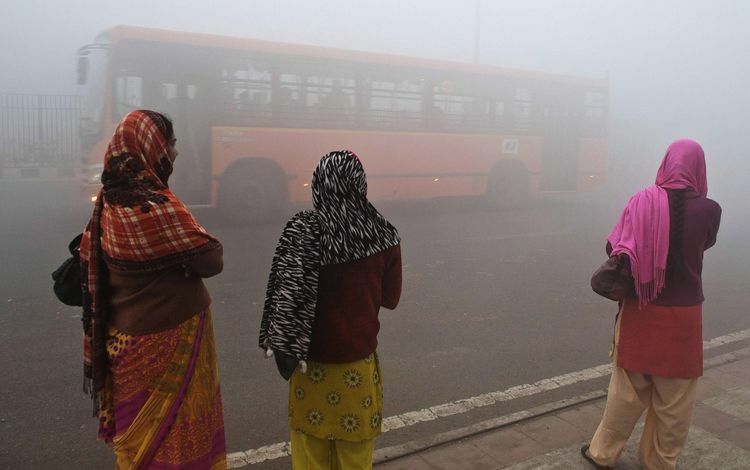 Delhi saw significant improvement in its air quality a decade ago following a slew of measures including converting buses and autorickshaws to run on gas, moving small industries to zones on the outskirts of the city and raising emission standards. But benefits were swiftly lost. Environmentalists say between 40% and 50% of the dangerous PM2.5 particulates in Delhi are caused by vehicles. The figures have been challenged by the car industry. One major problem, all admit, is the 70,000 trucks which drive through the city every night on long-distance journeys. A plan to build a bypass has been repeatedly delayed. I would ask you to check this video which a little preview on how the kids are suffering from bad pollution. ♦ In lung tests conducted on 5,718 students, 43.5% suffered from “poor or restrictive lungs”. ♦ About 15% of the children surveyed complained of frequent eye irritation, 27.4% of frequent headache, 11.2% of nausea, 7.2% of palpitation and 12.9% of fatigue. ♦ Delhi’s numbers were far higher than that among the ‘control group’ of 4,536 students selected from 17 schools spread across the “much less polluted” rural areas of Uttaranchal and West Bengal. I still long to see the clear blue sky in Delhi or to see the stars during the night. I guess I should forget about ever seeing this while I am alive. ← Are we eating Plastic for dinner?